The Year of the Pig has dawned. As 2019 is the Year of the Golden Pig, coming every 60 years, people expect bigger luck as the pig's plump body and big ears exemplify good luck. Despite being familiar to humans, pigs are often considered filthy animals, but in fact they are very clean with the habit of rolling in mud to cool off. Such a habit is captured in the idiom "happy as a pig in muck," referring to being joyful and content. 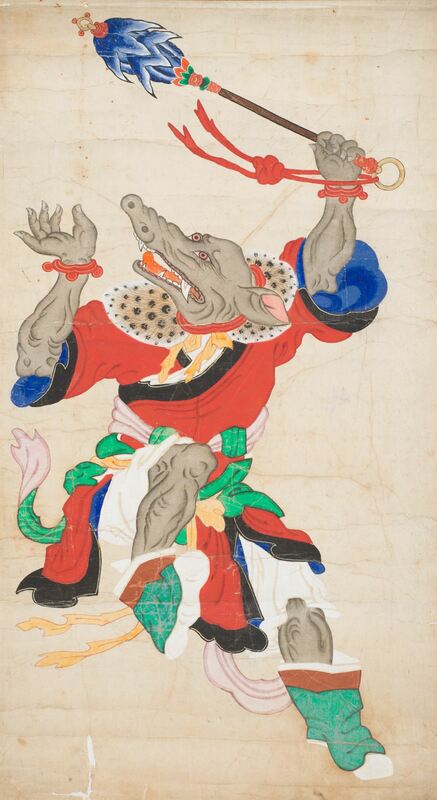 The pig is the 12th animal in the Chinese Zodiac, representing north-west-north in direction and 9 to 11 p.m. in time. In Chinese mythology, the 12 animals helped Buddha to create the world and were awarded with directions and times of the universe in return. "Though the pig comes last in the Chinese Zodiac, it does not mean the animal is inferior to others," said Kim Jong-dae, a professor of Korean Language and Literature at Chung-Ang University specializing in folk culture. Among the sexagenary cycle, also known as the Stems-and-Branches or ganzhi, 2019 falls on the gihae year, or the Year of the Golden Pig. The sexagenary cycle consists of the combination of a color and an animal and this year is a combination of yellow and pig, or the golden pig. "People buy lottery tickets when they have dreams of the pig. This comes from the luck the pig represents traditionally. As pigs are considered lucky, holding a pig is a good sign in dream reading, while a pig running away from home is regarded as ominous," Kim said. People born in the Year of the Pig are known to have the propitiousness of the times. With their driving force, they tend to venture forward to their goal even in the face of danger. The jovial pig people love entertainment and treat everyone warmly, making them the center of social circles. The "Joyous Pig" exhibition at the National Folk Museum of Korea sheds light on the porcine animal, centering on the symbolic meaning of the animal crossing sanctity and secularity. In primitive society, people were frightened of wild boars due to their violent characteristics. The status of the incarnation of evil changed through the emergence of shamanism, as pigs were used as sacrifices to the gods. Since then, pigs were elevated to the status of guardian saints. For instance, in the Chinese novel "Journey to the West," Zhu Bajie was evil and greedy, but converts to Buddhism after joining Tang Sanzang and becoming a helper of the monk during his travels. In Korea, pigs appear in court paintings and among the Statues of the Twelve Earthly Branches around royal tombs as they are believed to take bad luck away. Pigs are also one of the most popular and essential livestock in Korea. Since pigs were used widely as sacrifices, utensils for rites featured porcine shapes as well. "A pig is prolific, farrowing 10 to 12 piglets at a time. Such prolificacy leads pigs to symbolize abundance. 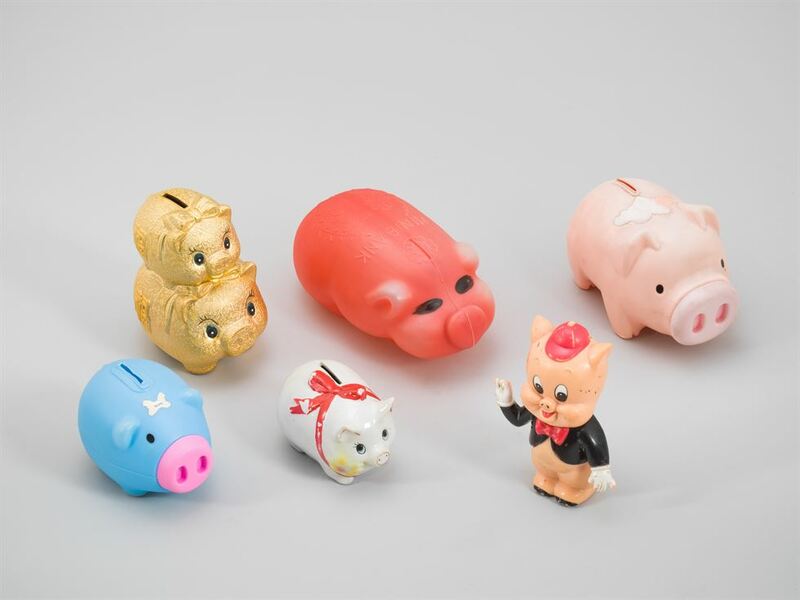 The Chinese character for pig in Korea is pronounced the same as the Chinese character for money, making the animal popular for coin banks in the form of piggy banks," folk museum curator Ha Do-kyeom said. At the exhibit, the museum re-created "dottongsi," a type of traditional toilet doubled as a pigsty, to give a glimpse of how humans and pigs co-exist. Pigs were raised by eating human excrement and pig excrement was fermented with barley straw, producing fertilizer for Jeju's agriculture. "Dottongsi provides a unique example of recycling seemingly useless waste. Growing pigs in the bathroom is also helpful as they eat harmful insects. Such practice of raising pigs in a toilet is also found in Okinawa, Japan, and Shandong Province, China," the curator said. The exhibit also highlights the pig people born in 1959, celebrating their 60th birthday this year. "This group of baby boomers was the primary labor force who has driven the economic development of Korea. Pig paintings commonly found in barbershops during the 1970s represent richness," curator Ha said. The pig is still beloved in popular culture. Japanese animator Hayao Miyazaki's "Porco Rosso" (1992) describes a pilot transformed by a curse into an anthropomorphic pig, while Bong Joon-ho's 2017 film "Okja" features a super pig to link capitalism and consumption.